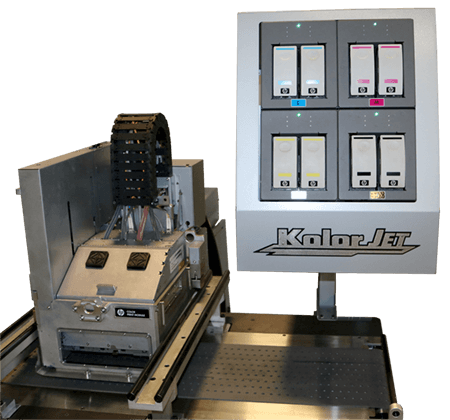 The KolorJet uses HP’s Print Module technology to print full CMYK process color in a single module. 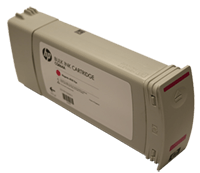 Only genuine HP brand 775 ml ink cartridges specially developed for Kirk-Rudy systems can be used in the KolorJet. 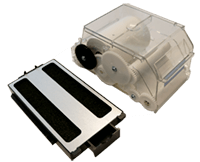 Order KolorJet ink and supplies from your authorized dealer.